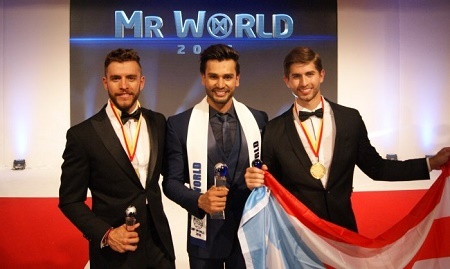 A handsome Indian on Tuesday, won the Mr World 2016 at the Grand Final of the Mr World Competition held at the Southport Theatre & Convention Centre in Southport. 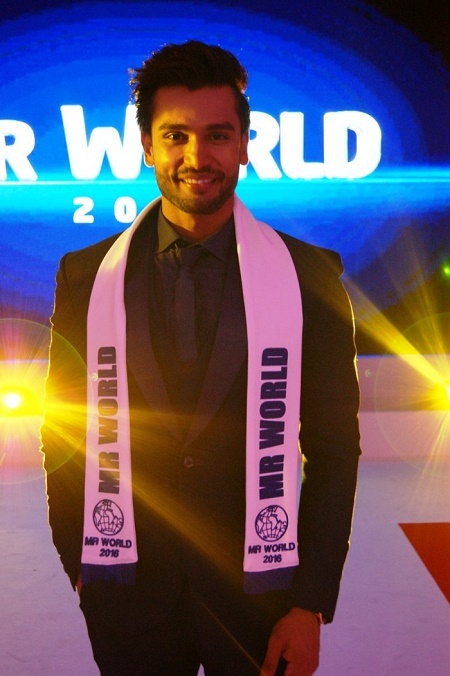 Rohit Khandelwal of India has won the title of Mr World 2016 at the Grand Final of the Mr World Competition held at the Southport Theatre & Convention Centre in Southport, UK, Tuesday evening. Rohit, 26, an actor from the Southern Indian city of Hyderabad, claimed the ultimate prize from a field of 46 finalists representing the elite from their respective nations. 1000’s of applicants from across the world were whittled down after year-long regional and nation events which led to Tuesday night’s final. Narrowly missing out on the ultimate prize was Fernando Álvarez, 21, from Puerto Rico, with Aldo Esparza Ramírez, 26, from Mexico placing 3rd. 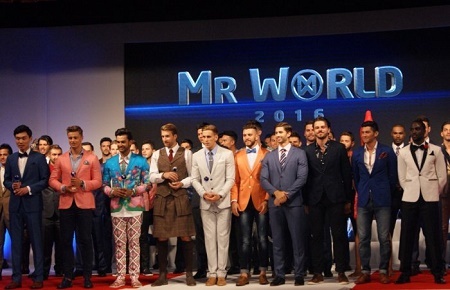 After 12 days of fierce competition comprising of 5 challenge events designed to test the true qualities of “The World’s Most Desirable Man”, the Grand Final saw all the contestants take to the stage in front of a live audience to face the scrutiny of the panel of expert judges to determine who would be Mr World. Hosted by Filipino Superstar & Miss World 2013 Megan Young alongside professional singer & former Mr England Jordan Williams and Frankie Cena of Canada (Mr Canada 2012), the event was an action packed show with the finalists dominating the stage with their physical prowess and expert dance moves, with plenty of muscle on show. After a recap of the gruelling challenges faced by the contestants, five Challenge winners were selected to progress to the semi-final stage alongside 5 further contestants, taking the total semi-finalists to 10. Professional Ice Hockey Player Tristan Cameron, 28, of Scotland reigned supreme in the Extreme Challenge, with England’s Chris Bramell, 23, winning the Sports Challenge. Rohit took the Multimedia Award and Fashion student Zhousheng Chang, 23, won the Fashion & Style Challenge. The final award was presented to 19 year old gymnast and celebrity Rafal Jonkisz of Poland, whose impressive acrobatic feats won him the Talent Award. Five further places in the semi-final were awarded to Mexico’s Aldo Esparza Ramírez, Fernando Álvarez of Puerto Rico, Kenya’s Kevin Owiti, Brazil’s Lucan Montandon and the representative of El Salvador, David Arias. 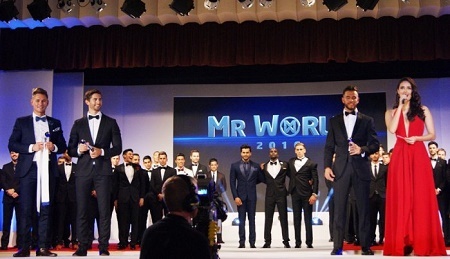 Mr World 2016 will be broadcast in selected nations across the world over the coming weeks, so watch out for further details on exactly how you can see this year’s show right here at MrWorld.tv or follow us on our Facebook page! 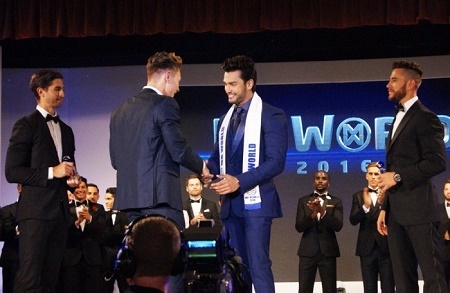 Mr World will be travelling back to London tomorrow where he will be speaking to the press about his amazing accomplishment and what we hope will be a life changing experience in the year to come!